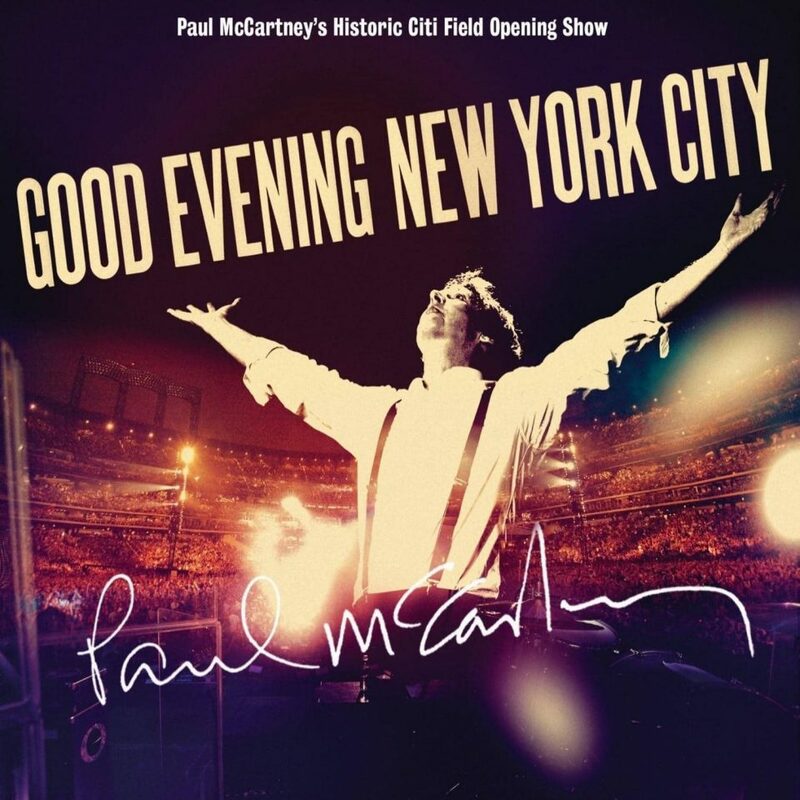 Good Evening New York City, featuring live recordings from Sir Paul McCartney's three nights of concerts at New York's Citi Field in July 2009, are to be released in November. The CD and DVD releases are to be issued by Hear Music/Concord Music Group on 17 November in the United States, and 23 November by Mercury Records in the UK. The standard edition will feature two CDs and a DVD. A four-disc deluxe edition will contain a bonus DVD, with footage from McCartney's 15 July performance on the Ed Sullivan Theater marquee, bonus footage from his appearance on the Late Show with David Letterman. It will also feature expanded packaging. A high-grade vinyl edition will also be released. The standard edition will also be sold at selected Starbucks outlets in the US and Canada. The DVD will feature concert footage directed by Paul Becher, who filmed the 33-songs concerts in high definition over three nights on 17, 18 and 21 July. The audio mix, in both stereo and 5.1 surround sound, was by longtime McCartney engineer Paul Hicks, whose credits include the recent Beatles remasters, The Beatles Anthology, Let It Be... Naked, and the Love album.